The number of people filing for personal bankruptcy was up 36.5% in the first half of 2009 from the same period a year before, and more than likely that number will keep rising as people seek their own personal bailout from the recession. Here are a few things to know if you have ever contemplated filing. 1. More than likely, you will still have to pay something. Some people believe that filing bankruptcy means that they will get out of paying any of their debt. This is not true in most cases. Most people, those with some regular income or certain savings, qualify for a Chapter 13 bankruptcy, which puts them on a repayment plan. Although some of your debt may get reduced or consolidated, you will have to make payments on the remaining balance for about three to five years until the debt is paid off. 2. All assets could be liquidated. Although you can save your home and some other assets under Chapter 13, that is not always the case with Chapter 7—and you’ll still owe on some payments. If you’re without regular income you may be able to file Chapter 7 and avoid a payment plan on eligible debt, such as credit card balances, but will still have to pay on child support, alimony and most student loans. You also will have to pay your mortgage, but in some instances under Chapter 7, you could be forced to sell your home to pay off your debt. If you don’t have enough equity in your home to benefit creditors, don’t think that will save you. In some cases you will just be asked to move out, and your creditor will get to keep the home. 3. Bankruptcy can be better than debt settlement programs. Although I advocate for people to try to settle their debts directly with their creditors themselves, rather than choosing bankruptcy, if you don’t have the stamina to settle your debts yourself, you can opt to enter a debt settlement program. However, you should know that you would still have to make regular payments to the settlement firm before they will negotiate with your debtors. Once there is a settlement plan, you will have to pay taxes on the amount you saved. For example, if your debt was $10,000 and the settlement plan says you only have to pay $3,000, you will have to pay taxes on the $7,000 you saved. The IRS considers it income. If you file bankruptcy, you do not have to pay taxes on the erased debt. 4. You can’t hide your assets. If you’re filing bankruptcy, you have to reveal all of your assets. Selling off items for cheap, or to friends and family until you can buy it back later is not allowed. Anything you sold or gave away within a year of filing bankruptcy can be retrieved by the court or trustee. So if you repaid Grandma $1,000 rather than pay your credit card, the court can make Grandma pay back the $1,000 or risk getting sued. You could also be jailed for perjury. 5. You need money to file for bankruptcy. 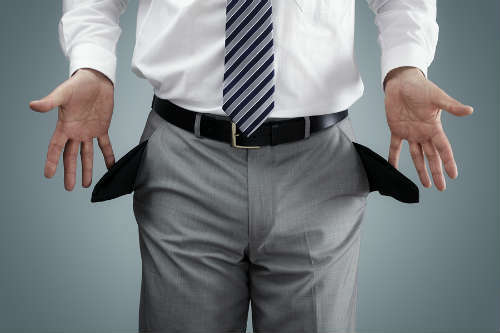 Most people don’t realize that lawyer fees for Chapter 7 bankruptcy could be $2,000 or higher. And guess what? That lawyer wants to be paid upfront, after all they want to be sure that they will get paid. Lawyers in Chapter 13 cases might just roll part of their fees into the payment plan. 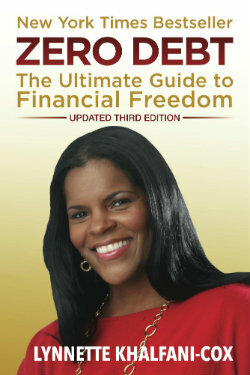 Chapter 7 lawyers can’t do that because you’re seeking relief from all debt, which would include their bill!